The skilled tailors of Savile Row in London have dressed kings, movie stars, rock legends, billionaires, and even a few regular guys. A Savile Row suit remains an enduring and highly individual symbol of the finest a man can buy. From its origins close to Britain's main royal palaces, the Row has grown from clothing aristocrats to military men, and more recently it has been revitalized by a renewed appreciation of personalized, handmade goods and by a new generation of modern sartorialists. Told through eight chronological themes, this beautifully illustrated celebration brings together Savile Row's highlights and low-lifes, the dramas and private tales, the suits and their accoutrements, the fabrics and the cuts, the history and future. Each chapter charts a stage of the Row's development and its contribution to men's fashion and culture. 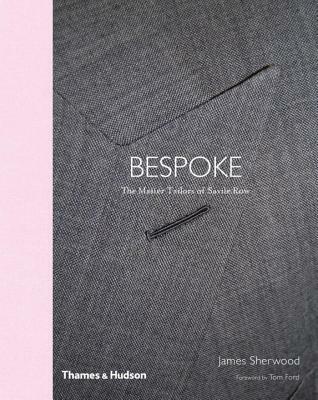 Throughout the book are dispersed twenty-six profiles of today's master tailors, providing insight into what makes their work, relationships, and clothes so special. The book is finely detailed with reference sections on the anatomy and making of the perfect suit.